Northern California's premier wedding videography company. Silver Tie Films has grown to become one of the premier wedding videography companies in Northern California. By creating hand-crafted wedding videos to over 200 couples to-date, Silver Tie Films is proud to always deliver artistic and cinematic videos that are true to each couple’s love story. With the combination of great experience to film live events, high end video/audio equipment, a crew with amazing and caring personality, and top-notch editing skills, Silver Tie Films is the best option to capture all the special moments of your one in a life time event. As a highly recognized wedding videography firm since it’s founding in 2008, STF has a 5 star rating review. Silver Tie Films offer 4 different wedding packages to choose from, but do offer the ability to customize your own package. Prices start at $3800. Please contact us for additional information and pricing. 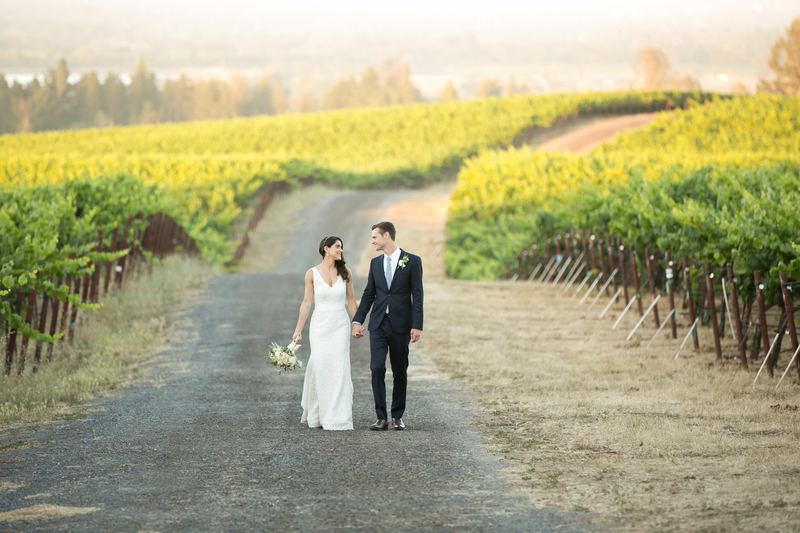 Reserve a videographer to cover your wedding in Napa Valley, Sacramento and San Francisco Bay Area now. The Deluxe Experience Package is perfect for small and more intimate weddings (150 guests or less) held in one single location. All the special moments of your wedding day are captured by our team of two professional cinematographers with our very artistic and cinematic approach. You will receive an edited Highlight Film (3-5 minutes long) on 1 DVD copy. The Premium Experience 12 Hours package is perfect for weddings and events with multiple locations and with 150+ guests. Our team of three cinematographers captures all of the most important moments of your wedding with our artistic and cinematic approach. This option allows us to capture more moments, angles and soundbites that will add a lot more emotion and personality to your final film. You will receive an edited Feature Film (15-20 minutes) on 3 DVD copies. The Premium Experience (8 Hours) package is ideal for weddings and events held in one location, or in up to two (2) different locations that are within 10min distance between one another. Our team of two cinematographers captures all of the most important moments of your wedding with our artistic and cinematic approach. This option allows us to capture more moments, angles and soundbites that will add a lot more emotion and personality to your final film. You will receive an edited Feature Film (15-20 minutes) on 3 DVD copies. Our approach is the same for every wedding – we try to produce the best wedding video EVER – EVERY TIME. With the Ultimate Experience Package you will receive the best of the best from Silver Tie Films. Our team with 3 professional cinematographers will be filming with 4 cameras capturing your event in multiple angles. We will also use our vintage Super 8mm camera and shoot up to 2 fresh rolls of film. The films will than be professionally developed and the footage will be added in key moments of your wedding film to give a very special and vintage look to your wedding video. The end result will be a very cinematic and craftily edited film that you will want to watch over and over again. You will receive an edited Feature Film (15-20 minutes) and a documentary cut of the ceremony and speeches. WHAT IS THE HIGHLIGHT FILM? The Highlight Film is a 3-7 minutes video with the most beautiful moments of your wedding day set to a unique soundtrack. It is a short video that we will upload to our online gallery, and deliver on your final DVD. WHAT IS INCLUDED ON THE RAW FOOTAGE? Raw footage is the high definition images/videos of your wedding – uncut and unedited. It is everything that we capture during the entire wedding day. All the cards will be transferred to an external hard drive and you will be able to watch the files by clicking on each of them individually. The files won’t be organized on a sequence, so you will need to click on them in order to watch the videos. WHAT IS THE MAIN FEATURE MOVIE? The main feature movie is our fully edited film. It is usually 15-20 minutes long and it covers everything from the preparation, the ceremony to the reception. You will see the most important moments of your ceremony, the couple’s Grand Entrance at the reception venue, the first dance, the toasts, etc. WHAT IS THE DOCUMENTARY CUT OPTION? An extended and documentary edit can be added to any of our packages. This option includes the complete ceremony and all the speeches shown in real time. WHAT IS THE LOVE STORY FILM? A love story is a video shot prior to your wedding date. We like to tell the story of how the two of you met, how you got engaged and what does your other half mean to you. It is a very romantic and casual shooting session that can take between 5 to 10 hours of filming (shoot time is contingent of the locations chosen by you). A love story film can be added on to any of our specials. WHEN SHOULD I EXPECT MY WEDDING FILM? You will receive your wedding film between 5-6 months after your wedding date. We take our time producing all of our wedding films to ensure the maximum quality and maximum results. We are proud to craftily create all of our films. In extreme cases we can expedite the process of producing certain films (additional fees apply). Here's some of our most recent projects we've completed. Want to see more of our work? View our portfolio! "Gusttavo and his co-worker Curtis did a fantastic job filming our wedding. We are so happy with the final videos that were produced as well as additional footage. Gusttavo is very friendly and easy to work with. He’s also very creative and knows good songs to play in the wedding videos." "Gusttavo and SilverTie Films were an absolute pleasure to work with on my wife and my wedding. Gusttavo was extremely outgoing, friendly, knowledgeable and most importantly let my wife and I enjoy our wedding, all while creating the most amazing wedding video I have ever watched. I would highly recommend Gusttavo and SilverTie Films to anybody. My husband and I were so happy that we worked with Gusttavo from Silver Tie Films. He was extremely professional and reliable and most importantly created the most amazing Wedding Video that we will have forever. We have recommended him highly to all of our friends & family." "Gusttavo from Silver Tie Films was awesome to work with. We had no relationship with him before our wedding and selected him based on sample videos we watched on his website. We liked the artsy feel and look to the videos. He met with us before hand to discuss our goals and his thoughts. He was very professional and responsive with our requests before and during the wedding. When we got the final preview video and final full video, we were blown away. It captured the day perfectly and will a great memento to have for the future. Highly recommend them."